This is the most popular and best selling anti-pick device. This standard type of peeper is very flexible and bends very easily to keep from getting caught in netting. Easy to apply and excellent for game birds, particularly pheasants. Please specify C-Clips (pliers for applying c-clips only) or Nylon Pins. The peepers can be used for different sizes of birds, including barred rocks. 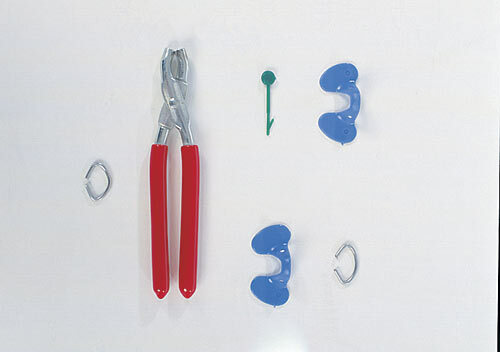 The pliers are not needed when using the peepers with nylon pins.